Making Tech a better place is a campus­ wide responsibility. This is the main drive for our platform. We want to represent the entirety of the student body when in office, and we cannot do that without your help: the help of all Tech students everywhere. 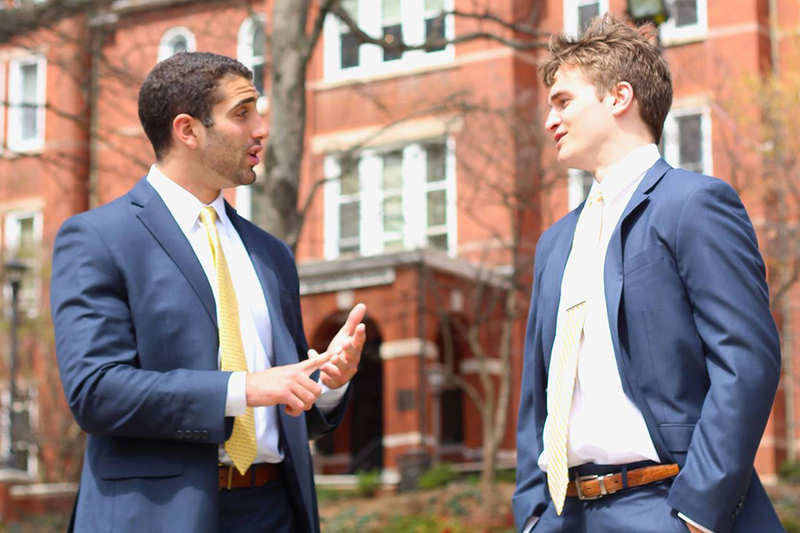 We want the input of the student body to be an integral part of our student government if we are elected. We have found that many students don’t really know what SGA does or how it affects their lives. Changing that is our first priority. We want to bring an improved degree of transparency to the office. The student body here at Georgia Tech is an incredibly diverse population, and we believe that every voice should be heard. We don’t want to force our own ideas on unwilling students; rather, we want to hear what everyone has to say. Everyone has ideas, so why should we only try to implement our own? We encourage the entire student body to contact us with any questions or suggestions you may have. We’re running a simple campaign because it is what we believe in. Too often these sorts of things turn into popularity contests about which candidates can be the loudest. We are not interested in anything of that nature. We do not want to run a loud campaign because we are not loud people. We’re more interested in listening than talking. We aren’t fond of empty promises, so here is what we can promise you if we are elected; we will work our hardest for you. We will enter the office with a clean slate and fresh minds. We will actually take into account the views of the student body. We will listen to all of you, and we will fight for your voice.